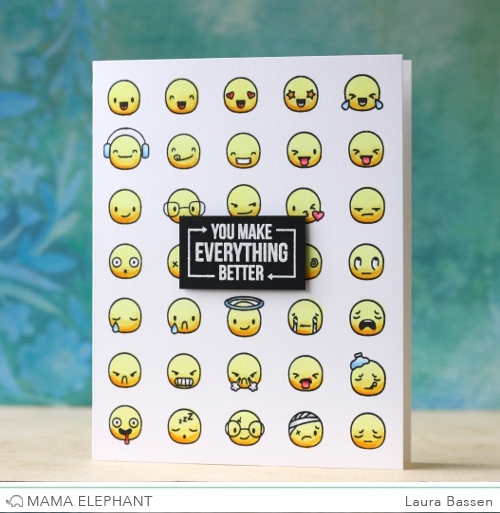 Deasy used a sentiment from Photo Bomb and Instalove dies cut to make this happy card! Little Emotions can be used different ways and Anna made a fun card with a cat and some mice, and emotions to add the final touch. Laura couldn't decide which emoji to use so she used the all! We love how she combined it with a sentiment from Today Was. 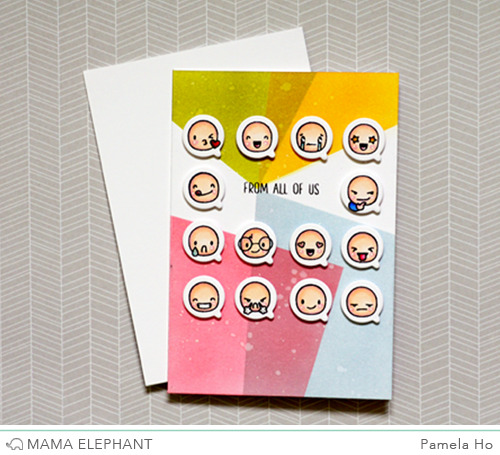 Pamela stamped a few of the emojis in a speech bubble die cut from Tandem Extras, finished with a sentiment from Blessed. What a colorful card from the gang! 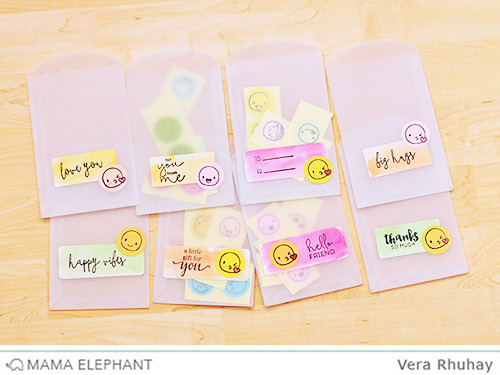 Vera created emoji stickers and we loved how she use them to label Lucky envelopes. 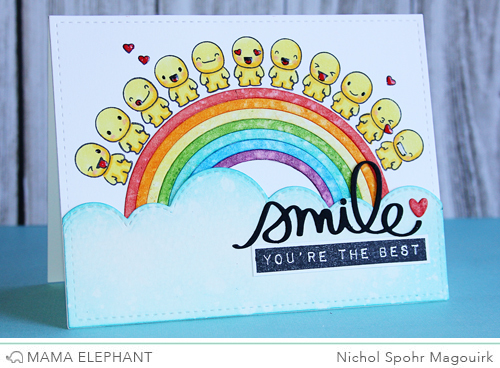 A rainbow of adorable emojis gives this sweet card lots of character! I can't choose a favorite card...they are all so so nice! The first one is my favorite! It feels like a party! so cute :) Love your inspirations! Thank you!! Wow.. That's loads of emojis at one place. Adorable cards. Now I want this set. Oh my! Super cute projects! Love the bodies for these, so fun!!! Very cute and very colorful and i love them all. I love all of my favorite color, yellow, and I see plenty of it in all the cards. This new stamp set is SO cute and very timely as it makes me think of the movie Inside Out. Understanding our emotions is important for all of us and not just children and teens. The cards made with this set are perfect! They make me smile just looking at them! Congrats on a great release, Mama Elephant! Ooooh these are so cool! Love the Designs every one has create they all look fabulous! I think the cheese print background by Anna was my favorite. So creative and ingenious.